A distributor in India is essentially a businessman who take the products from the manufacturer to the market. They buy products from the companies and sell them to resellers or end consumers. The difference between a retailer and a distributor in India is that the distributor engages in business to business transactions and retailers sell to the buying public. How to join the Distributor game? Distribution is a game of buying and selling. That means a person is willing to become a distributor in India should have strong negotiation skills, a knack to identify what is trending in the market, predict future demand. Firstly, choose a product that is relevant with your current occupation or business as well as develop understanding about the product and it’s life cycle. Start by doing your market research to find out specific details of the product. In addition, identify the product’s applications and also try to capture consumer choice. Also, find different companies who produce similar products. This will help you dynamically meet the demand of the product and supply for the product and smart salesmanship. After shortlisting the companies, contact them for their distributorship. 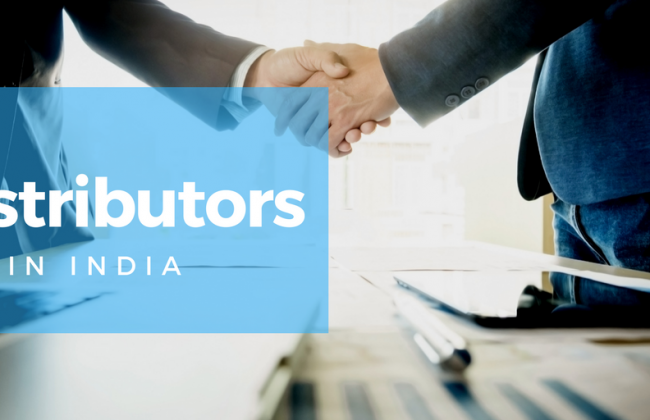 Understand the terms and conditions to qualify as their distributor in India. Geographical exclusivity is one of the main reasons to get a distributorship. Attract companies by showcasing clean credit records by getting rid of your debts. Start working on the shortcomings if you have any. Show cash liquidity etc. One needs the potential to handle warehouses, manage stock/inventory, supply chain and other required peripherals so that the product reaches the retailers quickly. Get all the required permits and licenses from the government authorities. Such as, your Employer Identification Number, AADHAR linked documents etc. Hence, clear and complete paperwork usually gets the highest weightage during assessment by a company before hiring a distributor. Every company is interested in knowing how you would scale your business. Vyapar’s tips improves your salesman skills and networking in the right groups. Attend important trade shows, expos, conferences and meet product manufacturers and competitors. Hire a dedicated sales team to contact other distributors and retailers. Begin your software distribution journey by becoming a Vyapar Distributor. It is a very simple process. You can purchase Vyapar Business Accounting Software, Desktop or Android version licenses upfront at a huge discount on the MRP. For more details about the Vyapar Distributor Program contact us on contact@vyaparapp.in or call us on +917760187991. Vyapar is now GST ready. Pingback: 8 फैक्ट्स (बातें ) जो आपको GST के बारे में ज़रूर मालूम होनी चाहिए !